3D modeling becomes the “it” thing for many people. It is a fairly new process that opens the door to new ways of prototyping for many industries. Remember the time when architecture sketches were done in paper and cardboard and caused a lot of frustration when the sketch fell apart or collapsed under its own weight. Now architecture industry is embracing 3D printing for its ease of use and the high-quality mockups of buildings it produces. The mockups help identify and resolve problems at the early stage of production or construction, which means lower costs and materials saving. 3D modeling is known to be used in many industries, entertainment probably being one of the most popular directions. Getting 3D modeling skills is not hard, especially given the fact that there are numerous video tutorials, modeling guides, tips and tricks, and forums where enthusiasts and beginners can ask for help and assistance from gurus. And this is where a large audience of 3D modelers and enthusiasts come together. 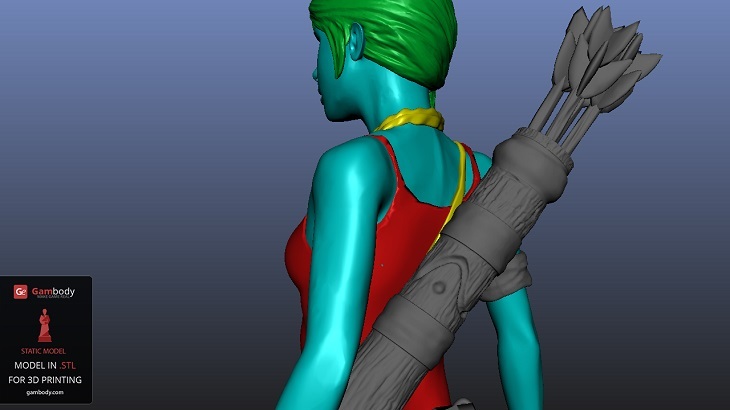 Since modelers started sharing their works on the Internet, the demand for 3D models has increased significantly. 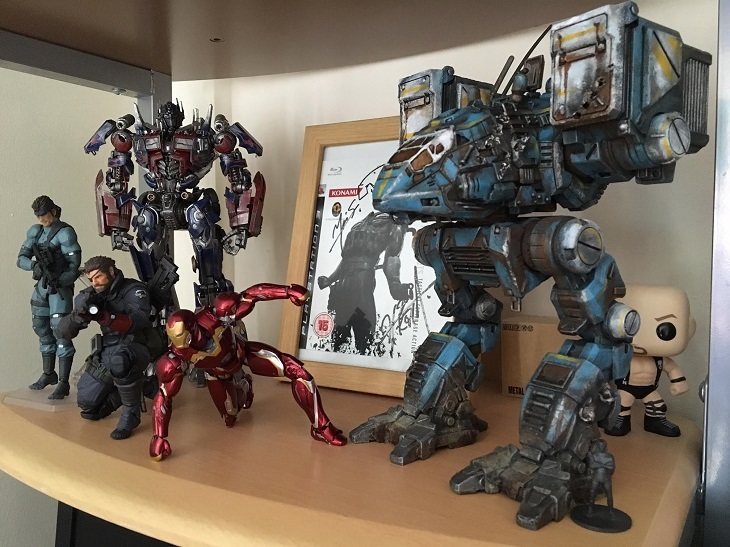 Usually, it is about renowned movie, cartoon, and video games characters that get the chance to be reproduced with 3D printing technology. Nowadays, there are several popular online marketplaces that accept 3D models for sale from third-party 3D modelers. They offer advantageous royalty share and help modelers reach their buyer, providing a well-established audience. Pinshape is the marketplace where people can find, share and sell their 3D models. Pinshape prides itself on providing a community of 45,000+ 3D designers and makers who pioneer the 3D printing revolution. To sell your 3D models, you must create an account which will become your online store. The best thing about Pinshape is that the site accepts any type of 3D models: from jewelry to accessories, to high-poly models with complex geometry. They accept files in .STL and .OBJ format. Shapeways is another popular platform that enables designers from all over the world to open their online shop and sell their products to everyone. The modeler is requested to register and open an account. Once this is done, he can start uploading his 3D models, set a price and market them to the Shapeways community. i.Materialize business model is similar to that of Pinshape and Shapeways. The designer creates a great 3D print product. He logs into i.materialize.com website, opening a 3D printing store. He uploads the designs on the site and starts earning money the minute his design is displayed on the marketplace’s page. Turbosquid positions itself as a marketplace for professionals. With 60,000+ models available the marketplace focuses on expanding their library of 3D assets. The sellers can create and account and upload their works to put up for sale. 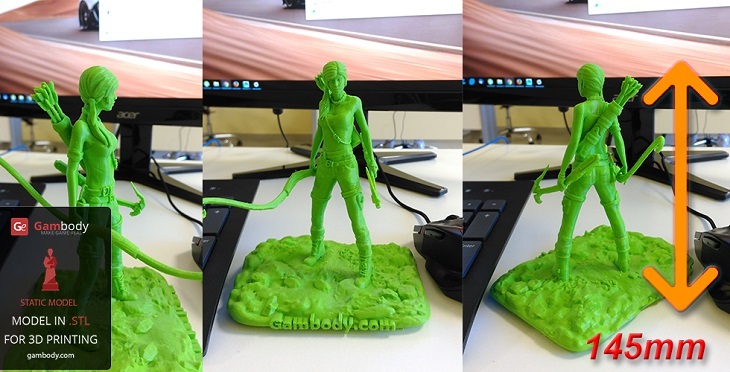 Gambody is a premium marketplace that accepts for sale 3D models inspired by video games. Heroes, villains, creatures, vehicles, aircrafts and cosplay items – all can be uploaded on the site and sold for a price that the author sets. The marketplace accepts 3D files in .STL and .OBJ format and provides a great opportunity to those who want to share their works with the wide community of gamers from every corner of the world. Design a 3D model that has high potential to be bought by the online 3D printing community. Do some research to identify those models that have the highest demand for among 3D printing enthusiasts and design a one-of-a-kind, high-quality model. People will be more prone to buy a model that has personality. A 3D model is your product. In order to increase its chance of being bought by potential customers, you need to present it in a sales-targeting manner. For this, it is recommended to have high-quality pictures of the model, showcasing from all sizes and different angles. Focus on model details. To create an online store you simply need to sign up and create an account. The procedure is user-friendly, just like registering on any other website. For this, you don’t have to provide your entire biography or confidential information. A valid email address, a password, and a name are enough, most of the times. All other information related to the royalty transfer is secured. and anything else you think will contribute to increasing your model’s popularity among potential buyers. When everything is ready and you provided all the information described above, you can hit the button and publish your model. Don’t forget to check in frequently as your potential buyers might have questions and you would want to show that you care about them. This means that you have to become a responsible seller. You should know that it can take a while until you will be able to make money from your 3D models. Think only how many 3D models are shared for free online or sold for a fee. Therefore, it might pass some time until you will be discovered. Tip: if you want to have a constant audience, think of modeling for its requirements and expectations. Research and see what people are most eager to buy and design for their needs. Start making money from 3D modeling activity. Make it both enjoyable and profitable.